We are the High Desert’s solution for the best in car audio, mobile video, car alarms, window tinting, and so much more. Customers come to our shop from all over – from Victorville to Apple Valley, Phelan, Barstow, Palmdale, Lancaster, Big Bear, Lake Arrowhead, and Crestline & Twin Peaks – because they know that we offer top-quality service, quick turn-around times, superior workmanship, and a price guarantee that can’t be beat! We are the High Desert’s solution for the best in car audio, mobile video, car alarms, window tinting, and so much more. 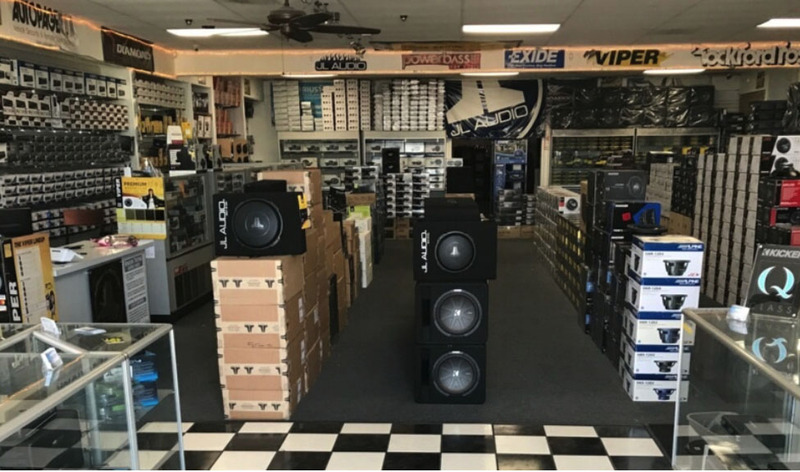 Customers come to our shop from all over—from Victorville to Apple Valley, Phelan, Barstow, Palmdale, Lancaster, Big Bear, Lake Arrowhead and, Crestline & Twin Peaks—because they know that we offer top-quality service, quick turn-around times, superior workmanship, and a price guarantee that can’t be beat! Designed by On The Move Marketing.